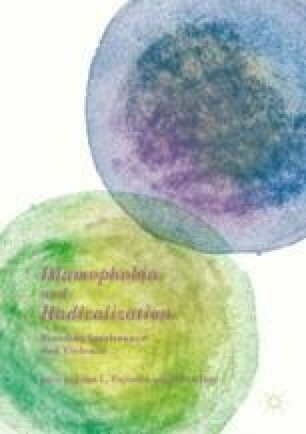 Islamophobia and Stigmatising Discourses: A Driving Force for Muslim Active Citizenship? While there is little doubt that Islamophobia fuels Muslims’ sense of disenfranchisement and undermines their recognition as equal citizens, emerging research also points to another, often overlooked effect of Islamophobia. Drawing on an explorative study on civic and political participation of Muslims, this chapter explore how some Australian Muslims view Islamophobia not as a civic deterrent but rather as a motivating driver for their active citizenship. Instead of feeling paralyzed, they have increased their efforts to engage with non-Muslims and offer counter-narratives—either directly by challenging Islamophobic prejudice or indirectly by acting as ‘model citizens’. The chapter concludes with tentative insights into the question as to why some Muslims feel empowered, while others refrain from enacting their citizenship in the face of Islamophobia. This contribution draws on an empirical study, published in Mario Peucker, Muslim Citizenship in Liberal Democracies (Basingstoke: Palgrave Macmillan, 2016). The pertinent chapters in the book have been revised and extended for this contribution.